Anyone know any site about franks time at the PMRC?<br>Better still, anyone know if the audio of Frank at the PMRC is available? I'm sure Everyone has seen this but I thought I would bring it back from the Forum Grave. It only took close to 6 1/2 years for someone to Answer your Question & I was happy to try . A big bunch of nothing. 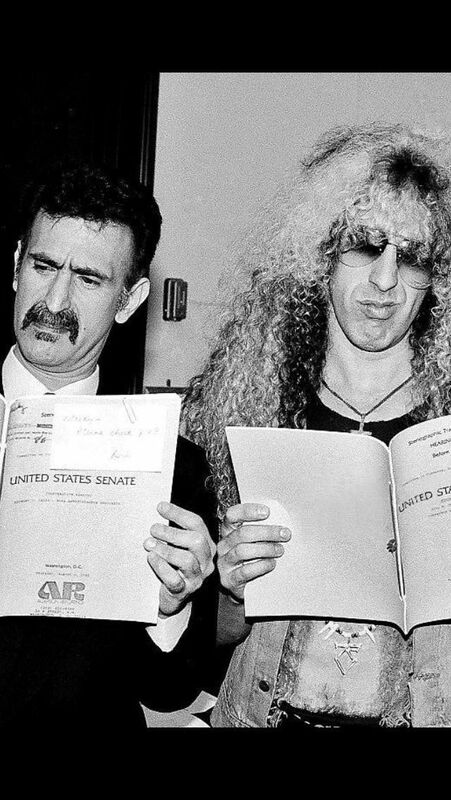 Frank Zappa and Dee Snyder reading the PMRC Senate hearing transcript.